The journey of Dayana began with modest resources for developing power looms for grey cloth fabric in 1964. With his perseverance, and foresight, Shri Atmaram transformed this humble company into a strong, flourishing enterprise in merely 2 decades. By 1984, he, along with Shri Bharat Patel, forayed into the chemical business, serving a gamut of industries like pharmaceutical, cotton and plastic packaging. It was a thriving period for the organization from here on and with the addition of a tarpaulin-manufacturing unit to its strength in 2003, Dayana expanded its reach from domestic markets to international arena. Commitment to innovations has always been a dictum at Dayana. The company, since its inception has taken pride in harnessing the latest innovations to ensure that its production remains at optimum levels in terms of quality and value. Dayana’s experience, coupled with the expertise of its management has taken the company to new heights of success, and continues to earn it acclaim in the hearts and minds of its clients across the world. These values are centered on one goal - to meet client expectations through superior quality, service and workmanship. Adhering to global standards, Dayana has created a manufacturing environment that is not only world-class but also highly scalable, in terms of meeting orders of various sizes. The company’s infrastructure is equipped with the latest technology, and high-end machines that give Dayana the capability to take contract-manufacturing assignments for various reputed companies like JK Cement and the Birla Group. Team Dyana is available 24x7 for its clients. The company’s policy clearly reflects in the fact that it has the best response times for both domestic and international inquiries and strives to maintain the highest standards of customer satisfaction irrespective of order size. At Dayana, the company believes in fully transparent business, both in terms of its employees and its clients. The company with this vision offers an all access pass to its clients allowing them to visit its factory at any time during working hours. This has allowed Dayana to create a niche in the market as a company that is trusted and has its doors open for its clients whenever they need. 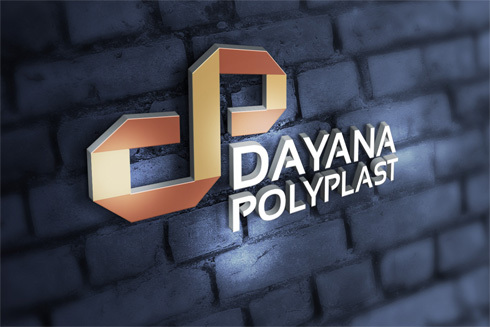 Dayana's products are not only world-class they are also highly competitive in terms of cost. The company has devised a unique system that ensures availability of global quality at local rates, making Dayana the preferred supplier of high quality bags to its clients worldwide. There is no bigger profit than selfless service towards humanity – following this principle, Dayana has always remained a socially active company, and has contributed towards the growth of communities that have helped it flourish. The company has made provisions making pure drinking water available to 10000 people living in the vicinity of its industrial campus. Additionally Dayana has also set up water pumps at various locations including schools. As a religious recreational step, the company has helped build several temples for the benefit of the local communities as well.